Alzheimer’s is the 6th leading cause of death in the U.S.
One fact that many overlook is that Alzheimer’s takes more lives than breast and prostate cancer combined. The economic burden of Alzheimer’s, alone, is expected to cost the nation 226 Billion dollars to care for people with Alzheimer’s next year. 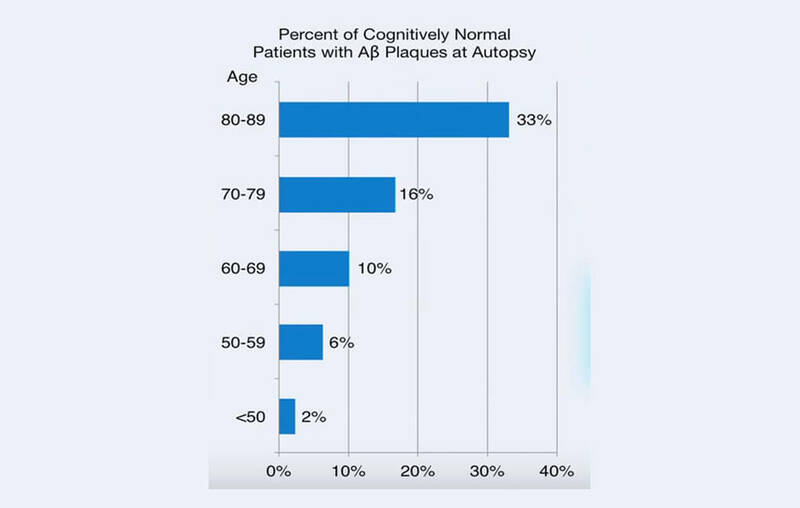 Aβ plaques are essential to diagnosing Alzheimer’s disease, with up to 33% of patients with increased levels of insoluble Aβ plaques proven to not develop Alzheimer’s disease. 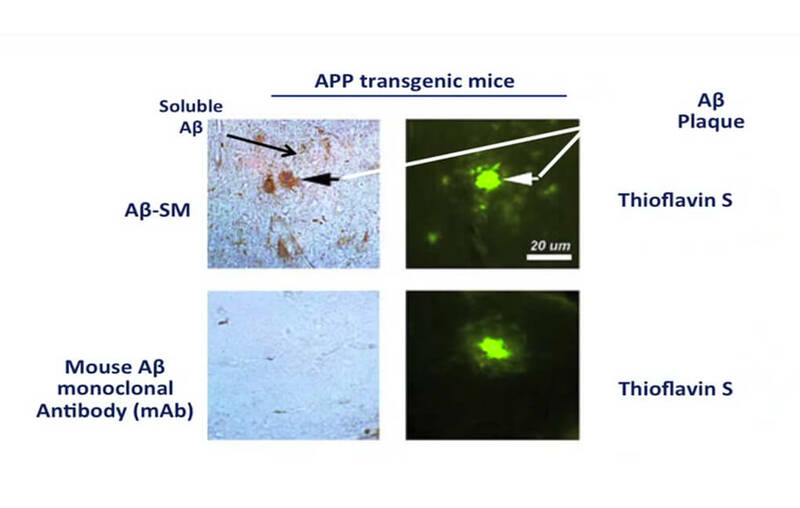 In addition to these findings, patients with Alzheimer’s have a fifty-fold higher presence of soluble Aβ plaques compared to those with Aβ plaques who do not develop Alzheimer’s. Thanks to In Vivo technology, ICBI is now able to detect and visualize soluble plaques in the brain, making it easier to combat against Alzheimer’s disease. On the top and bottom right are Thioflavin fluorescent stainings which will stain virtually any visible plaque. On the left upper is the staining by Aβ-SMs of soluble Aβ monomers and the visible plaque. On the left lower the mouse Aβ monoclonal Antibody failed to penetrate the BBB and stain its target.